4/2/2019 – To use the patterned HTV do you NOT mirror image first before cutting? Do you sell a separate HTV transfer sheet to use after . . . Response From JSISigns: You cut "right reading." You can use Rhinestone tape to transfer the image after the cutting and weeding. 12/9/2018 – Is your printed custom adhesive vinyl dishwasher safe? Response From JSISigns: We do not recommend using a dishwasher. The steam and heat and cause the vinyl to lift. Please hand wash for best results. From Angie of Tompkinsville, Kentucky on 7/5/2018 . From PATRICIA BURTCH of LAVONIA, Georgia on 6/27/2018 . 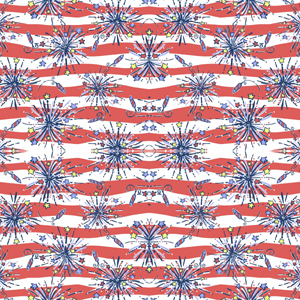 I ordered a few different design patterns for the 4th of July but curious to no exactly how do I use them. The idea was to use them on some t-shirts but not sure if its possible and if so how. I absolutely love the patterns therefore if these aren't used as htv then what can I use them on.